Ring holders in fun, whimsical designs. Store your rings with an added bit of playfulness with these chrome plated ring holders from Umbra. Ideal for storing several rings overnight, during a shower, or while washing your hands, Playful Ring Holders are perfectly sized for any space. 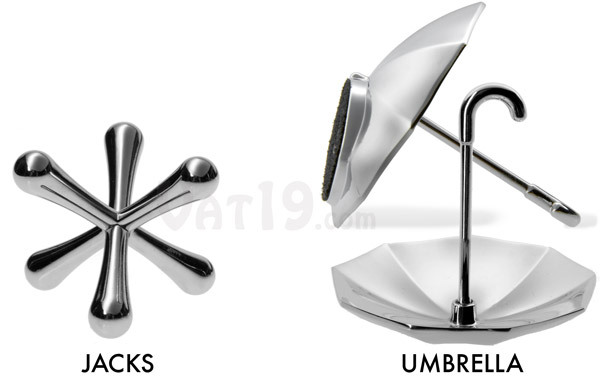 Decorative while not in use, Playful Ring Holders are available in two styles: Jacks and Umbrella. Makes for a perfect engagement present! 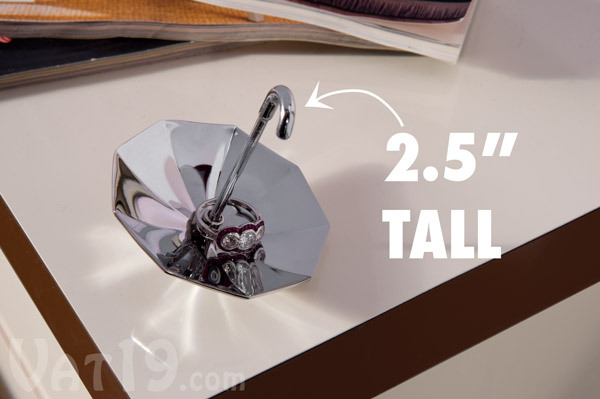 Dimensions (Jack): 3" x 3" x 3"
Dimensions (Umbrella): 2.5" x 2.5" x 2.5"
Our Playful Chrome Plated Ring Holders are perfect for your engagement rings, wedding rings, class rings, World Series championship rings, and mood rings. But not promise rings. They're a bit lame. 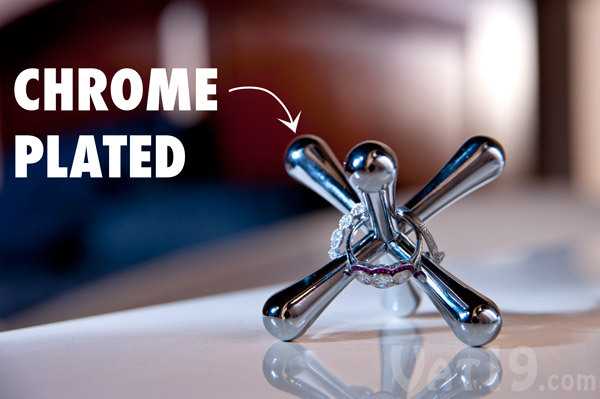 These unique ring holders feature chrome plating and are perfectly sized for any space. With these adorable ring holders, you've now got a dedicated spot for your favorite rings. This is certain to substantially reduce those frantic holy-bleep-I-lost-my-ring-and-I'm-late-for-work moments. Keep one by your bed and one in the bathroom, and you'll never lose your precious keepsakes. 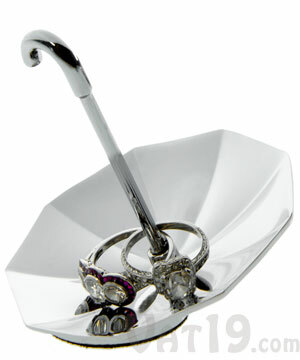 Store your rings in these whimsical and compact ring holders. 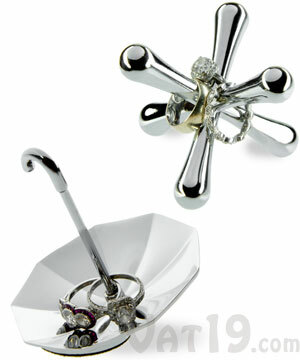 Playful Chrome Plated Ring Holders are available in two styles: Jacks and Umbrella.